They hid under a trailer because they had never seen a leash before. 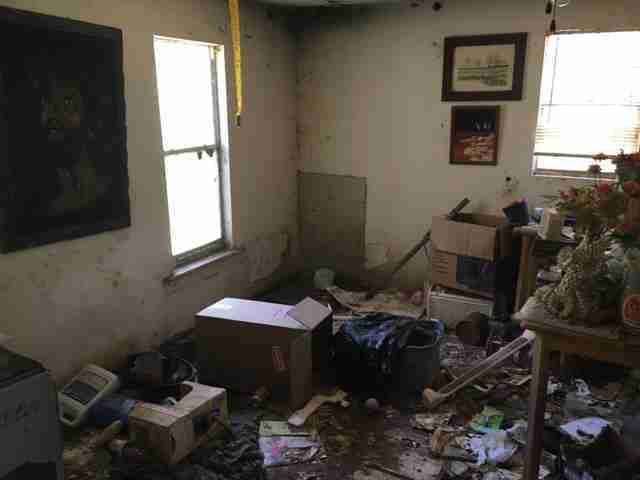 Jean Harrison has rescued a lot of dogs from hoarding situations, but she’s never seen a case as bad as a recent one in Oklahoma. 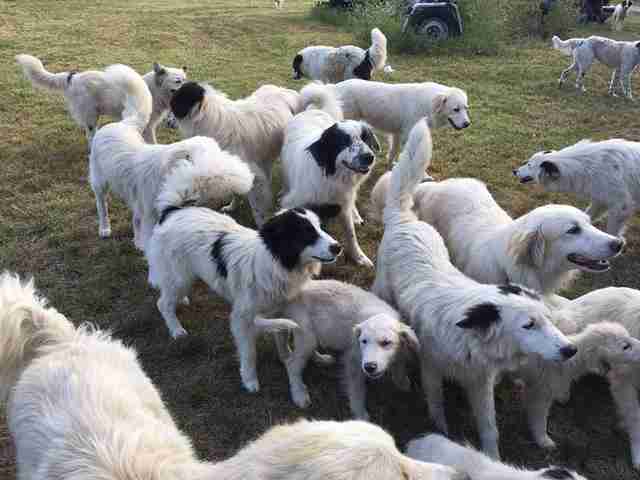 And of course, there were the dogs — 35 border collie-Pyrenees mixes running loose on the property, looking as if they hadn’t gotten food, water or medical attention for years. 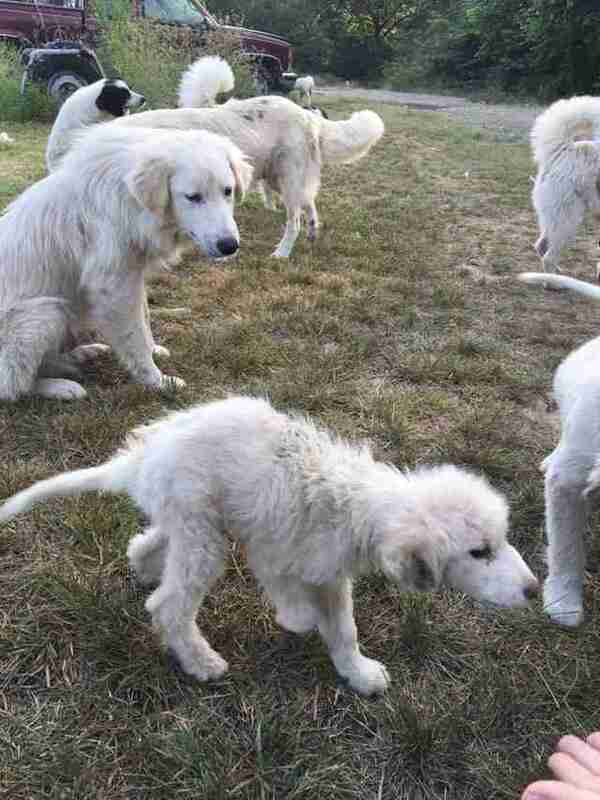 Big Fluffy Dog Rescue is based in Nashville, Tennessee, but a volunteer in Oklahoma alerted Harrison about these dogs. 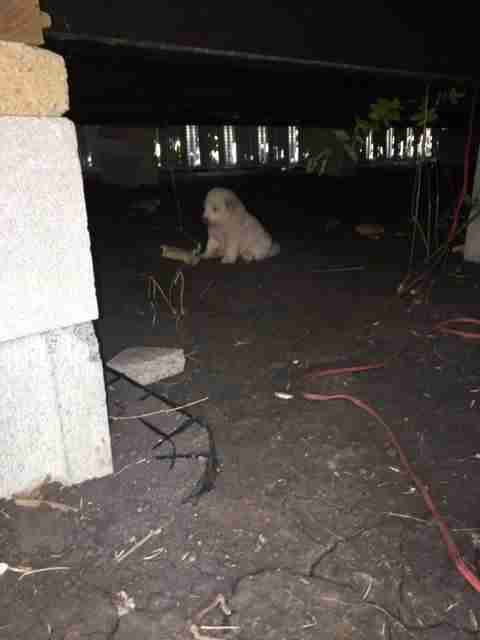 The owners of the property had died, and now someone — Harrison’s not sure who — was threatening to kill the dogs. Four volunteers from Big Fluffy Dog Rescue piled into a van and drove 10 hours from Nashville to Oklahoma. When they arrived at the property, they quickly realized this was going to be a tougher job than they anticipated. While the dogs were friendly, they didn’t want to be caught, probably because they were scared. 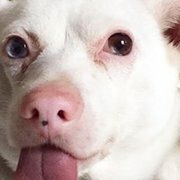 “At first they [the dogs] looked at us like we were their liberators, but then they realized that we were trying to catch them and they became less cooperative,” Harrison added. 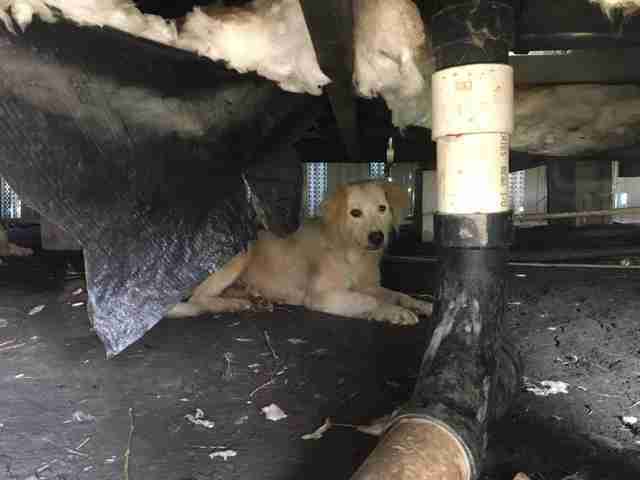 The volunteers spent the next several hours trying to catch the dogs, which involved a lot of running and crawling beneath an old trailer where they were hiding. Once the dogs were safely loaded into crates, they calmed down. 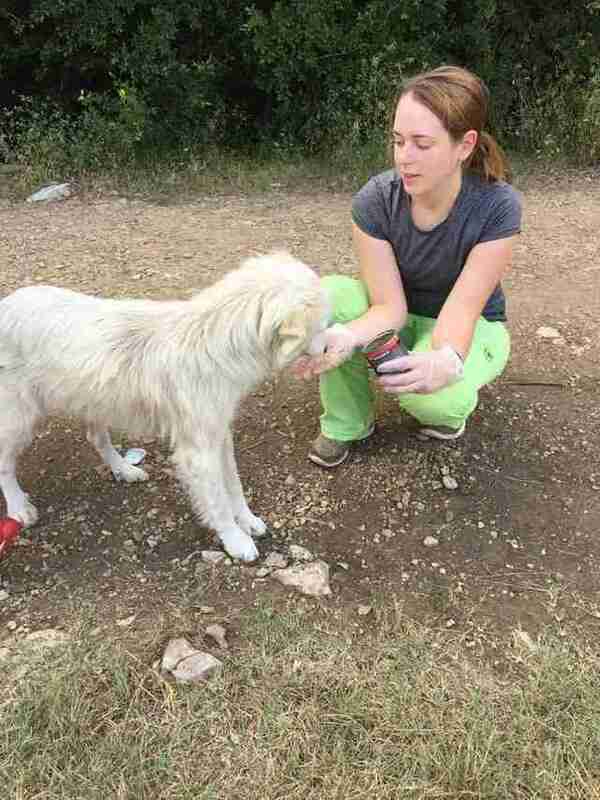 But the volunteers needed to work quickly — some dogs needed urgent medical attention, particularly the puppies. Most were suffering from malnourishment, dehydration, scabies and injuries from fighting. 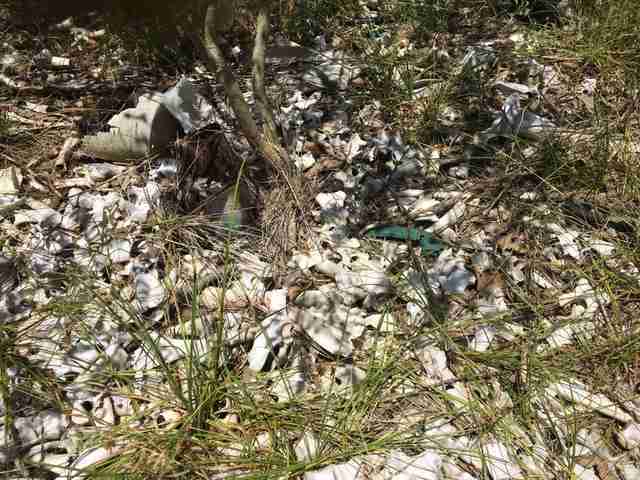 “There’s been a lot of fighting on the property between the dogs for the resources, and I think the puppies got the worst of that trying to eat,” Harrison said. 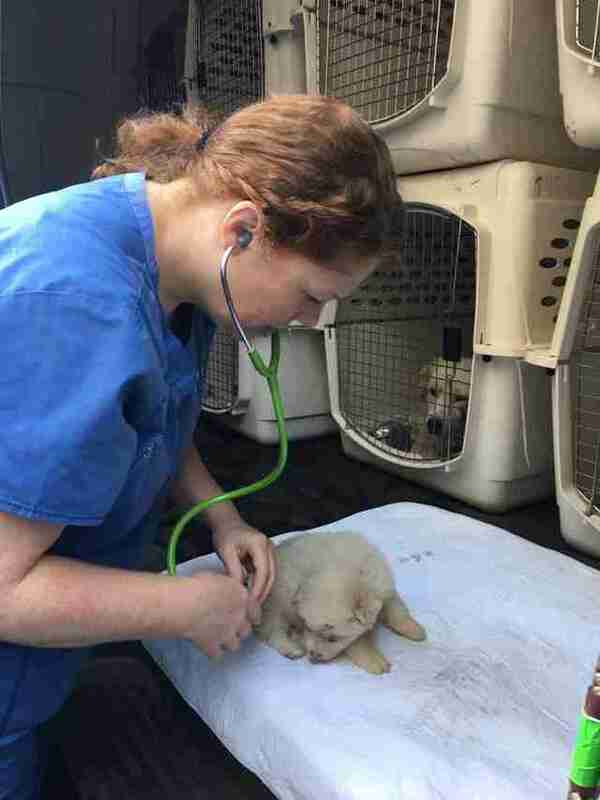 In fact, a volunteer had to resuscitate one of the puppies. “We had one CPR event when a puppy’s heart stopped, but all of them made it,” Harrison said. But for other dogs on the property, rescue had come too late. 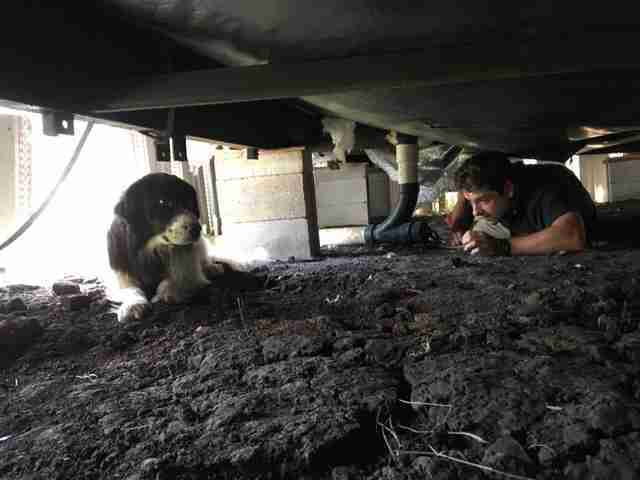 After rescuing 23 dogs, the volunteers had to leave for the day. 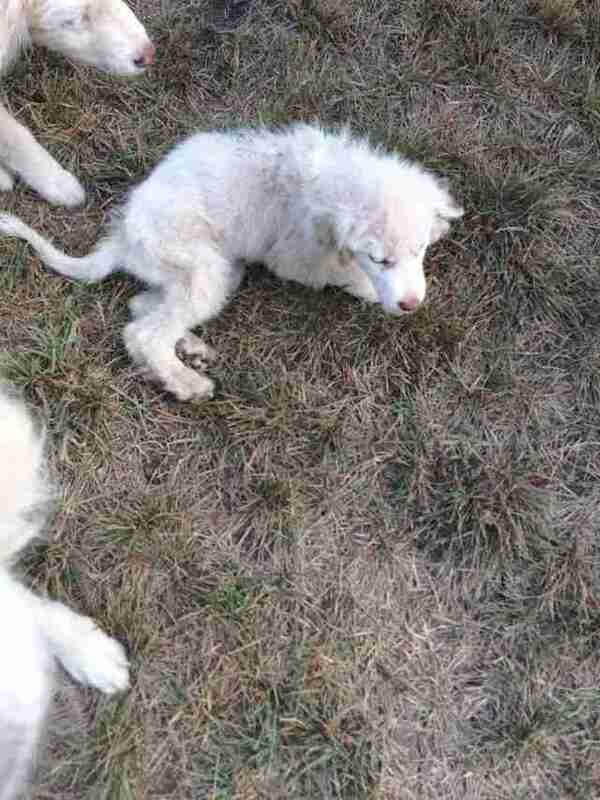 But they’ll need to return for 12 other dogs who evaded rescue and are still living on the property. “We’re working to trap them because they just can’t be caught,” Harrison said. All the animals are currently in medical boarding at a vet hospital, but Harrison expects them to make a full recovery. And despite everything the dogs have been through, Harrison explained, they’ll make great family pets. “In a couple of months, we’ll post some pictures of how great they look, and they’ll go home,” she added. 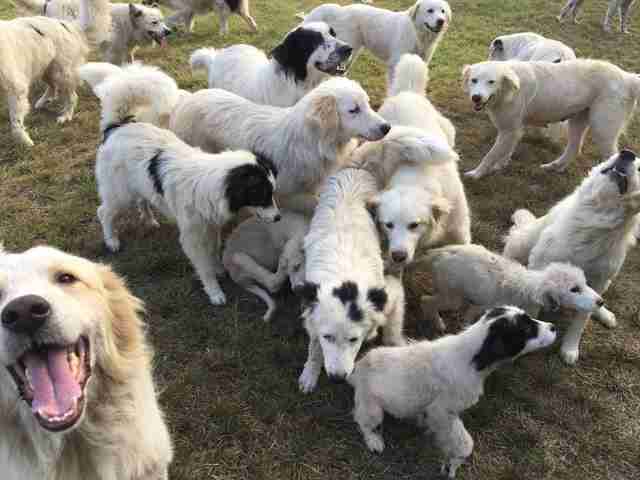 To help these 23 rescue dogs make a full recovery — and find forever homes — you can make a donation to Big Fluffy Dog Rescue.